Despite my 20 year love affair with scrapbooking, I will never claim to be the best. I enjoy it and I occasional put together a page I’m proud of, but my aunt and my sister-in-law are wizards. I worship at their scrapbooking alter. Seriously. Scrapbooking is a pack-rat’s dream. I’m that psycho that keeps every single concert ticket, wedding invite, movie stub, etc. And it all pays off when I go to fill out the scrapbook. Seriously, I’ve come home from vacations with napkins and tourist brochures, all for the sake of scrapbooking. Keep a list of what you want to scrapbook: past, present, & future. I don’t always go in order when it comes to scrapbooking. I try to keep up with our marriage years but there are vacations from college that I haven’t gotten around to scrapping. I have a running list of all the things I’d like to record. This helps me remember what pictures I need to order or what stickers/paper I should look for next time I’m in Michael’s. Journal while on vacation. I journal every single event from vacation, usually each night of the trip. (Sometimes it drives K nuts that I sit at the little hotel desk and write down our activities, purchases, and meals, but in the end I am SO glad to have spent an extra 10 minutes recording our adventures.) I love to track our spending and our food in my travel journals. I also tuck receipts and brochures/itineraries into the back cover of the journal. 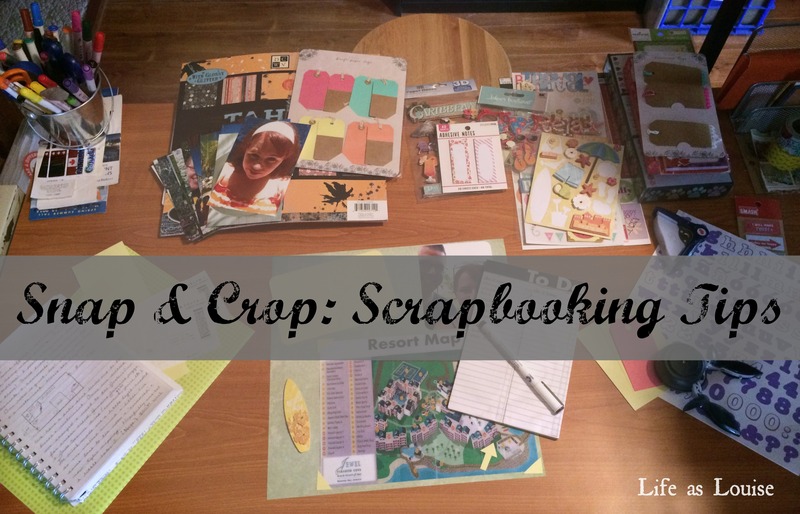 It helps a lot when it comes time to scrapbook! Keep a planner! I don’t keep a diary (unless I’m traveling), but I always reference my planner(s) when scraping our marriage years. It reminds me what weddings we attended and where we went on a weekend get-away. I also jot down unusually things of significance (like a new car) so I remember what day/month it occurred. Keep a folder for paper trinkets. I have a crate with hanging folders that hold different scrapbook topics, but one of those folders is always label “THIS YEAR.” Any time we get a concert stub or birth announcement or anything that might get lost in the shuffle I slip it right into this folder for safe keeping! Have I totally overwhelmed you…? 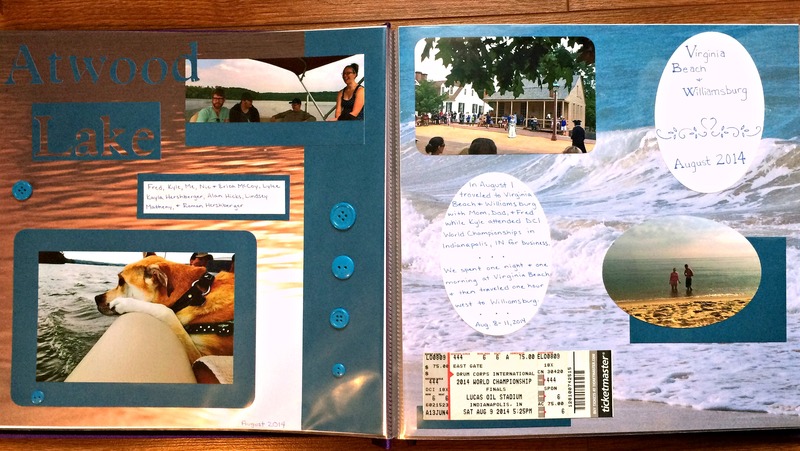 Honestly, scrapbooking is wonderful because you can be as creative or simple or colorful or drab as you want! Some people put books together online and some people make physical books. Do what makes you happy- people will enjoy your photos and memories either way! I posed this question on Twitter a few days ago, but it sparked my curiosity… I always reply to comments on my blog, but since I don’t use Blogger or go through Disqus I’m not sure if/how you’re notified. Thanks so much, my friends! Have a wonderful week!! ← Let’s Take a Quick Coffee Break! HAHAHAH “I had priorities as a child.” haha I loved this post and feel free to do more scrapbook-related ones because I need a good (cute, picturesque, etc.) 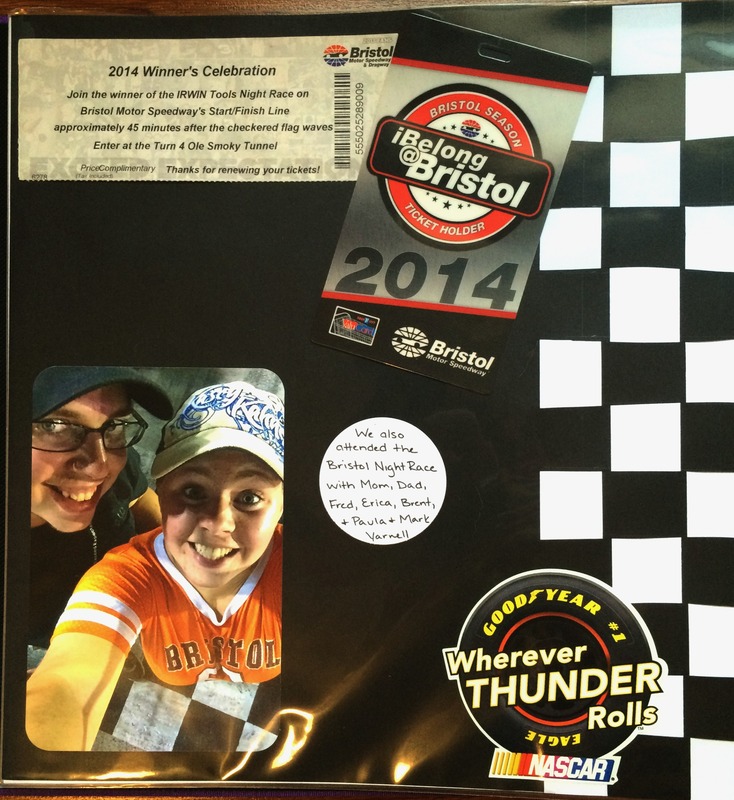 reminder to get back into scrapbooking! 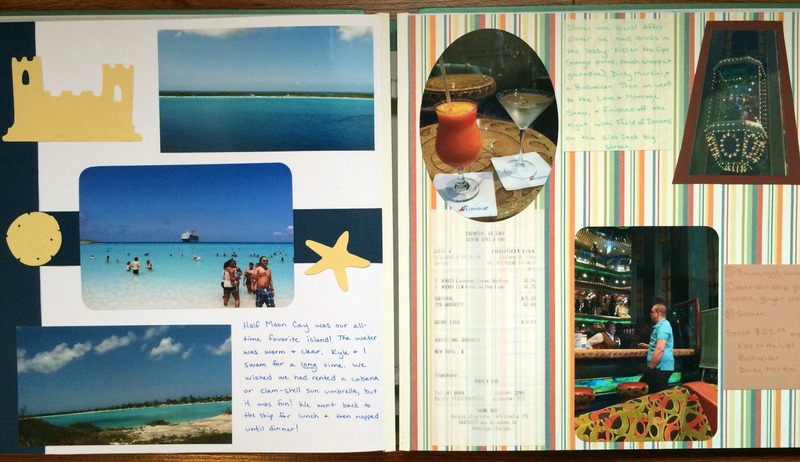 I used to scrapbook but man oh man – it takes time & LOTS OF MONEY – so many cute things to buy. I ended up just getting a drawing journal & I just tape things in & hand write things now … a simple redneck version of scrapbooking. I do love to keep things for memories sake. I love the fun of scrapbooking though. the personal touches of it. I like your way! Whatever works, lady! Scrapbooking is awfully expensive. I figure if K can spend money on drums, I can spend some extra change on stickers and cricut cartridges. Haha! oh man i want a scrapbook snack table right now! i could totalllllly see myself getting into scrapbooking. i love the memories being captured and small details we would all forget if they weren’t documented. for now, it comes down to space and money so perhaps this will be my hobby when i’m older! A snack table is a serious must! Usually when I work at home I have a tall glass of wine next to me 🙂 You’re right about space- when we were house hunting I kept my eye out for a 3-bedroom home because I KNEW I’d want to turn a bedroom into my scrapbooking paradise 🙂 Haha! My senior project in English was to create a scrapbook of my life. I took is very serious and ended up with two full books that I turned in and got an A+ on it. I made a small scrapbook for my sister on my nephews first birthday….and haven’t done it since. It takes a lot of work but it is fun! That’s awesome! It is a ton of work so I’m glad you got an A+!! I’ve made scrapbooks for K and for friends and they always seem to appreciate it! I think the longer you do it the easier it becomes (especially since you start to collect a vast inventory of paper and tools), but you have to enjoy it 🙂 I’m glad you’ve found something that works for you to record your memories and experiences!! I’ve never heard of Kelly Purkey but now I’m off to check out her YT channel! Thanks, Alexandra!! I used to scrapbook all the time!! I still have all of my materials and a TON of pics printed… and I haven’t scrapbooked in probably 4 years 😦 This inspires me to get back to it though! Oooh, you should definitely get back into! If nothing else, it usually helps me unwind after a tough day/week! “I had priorities as a child” hahahaha love it!! I love scrapbooking too but it’s SO HARD to find time and a place to do it. I’m a MESSY scrapbooker so I can’t just have it out on the dining room table. I agree. I have a whole room that i can spread out in. Still, I’m often looking for random bookshelves or tables to lay my stuff on because I’m all over the place! Haha! I LOVE to scrapbook! I too have a ton of Creative Memories stuff that I’ve collected over the years. That’s awesome you take the time to write down all your adventures during the trip. I’ve never done that before, but that would be a good way to remember everything. I am super messy too, like Susannah, and one day it would be fun to have a room dedicated to it so I didn’t have to pack and unpack everything whenever I wanted to work on a book. I love scrapbooking! I’m glad I’m not the only one, Louise! I do a lot of these things already but for some reason I never thought to keep a journal, I’m definitely going to be using that. I’m sure my scrapping will go a lot easier with that tip.